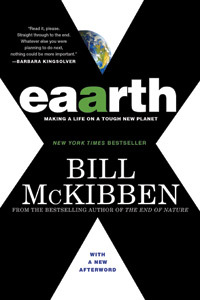 "With clarity, eloquence, deep knowledge and even deeper compassion for both planet and people, Bill McKibben guides us to the brink of a new, uncharted era. This monumental book, probably his greatest, may restore your faith in the future, with us in it." "What I have to say about this book is very simple: Read it, please. Straight through to the end. Whatever else you were planning to do next, nothing could be more important." 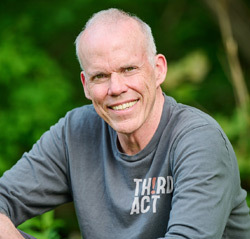 "Bill McKibben is the most effective environmental activist of our age. Anyone interested in making a difference to our world can learn from him." "The terrifying premise with which this book begins is that we have, as in the old science fiction films and tales of half a century ago, landed on a harsh and unpredictable planet, all six billion of us. Climate change is already here, but Bill McKibben doesn’t stop with the bad news. He tours the best responses that are also already here, and these visions of a practical scientific solution are also sketches of a better, richer, more democratic civil society and everyday life. Eaarth is an astonishingly important book that will knock you down and pick you up." Growthbusters.org speaks with Bill McKibben. Click here to read Dave Gardner's review of Eaarth.